When the ski season is over, don’t just walk away from your equipment and expect it to be ready when the snow falls. You need to store your gear properly to maintain function and get the most life out of it. Heaping your gear in the corner of a hot Sacramento garage or a damp basement is not the answer. 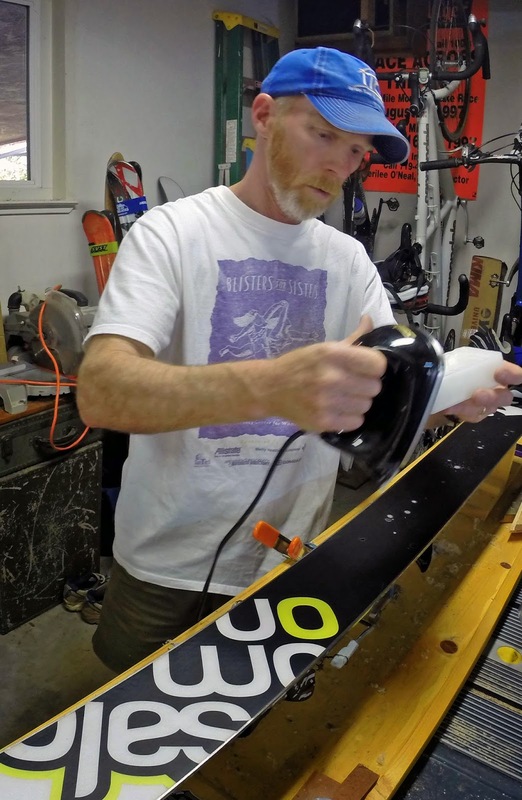 Hot wax your skis/boards and make sure the edges are coated in wax. Don’t scrape the wax off your edges. The wax will protect the edges from moisture and minor hits. Store your skis in a dry environment with moderate and consistent temperatures. A closet is better than a mudroom or garage. Store skis and boards vertically. Hanging skis in standard tip racks is fine. There are companies like Rocker Ski Rack that make special racks for rocker skis that they say maintain the shape of the ski better. Standing your board or skis is the second best alternative. Stand them out of the way where they won’t fall over. Leave your bindings in the entry position, not locked down. Some people recommend releasing spring pressure on the bindings by setting each DIN number to zero. Remember the number and reset each toe and heel before next season! If you have any doubts about binding tension, most shops have test equipment to check DIN tension. Clean your boots with a damp cloth and pull the liners out. Replace the liners when you are sure they are completely dry. Buckle your boots loosely so they hold their shape. Cover them with a cloth to keep out rodents and store them in an area like your skis that is dry and subject to moderate temperatures.